Look under the Preferred Project Report – its the third last item after all the Appendices. Good luck. Is this the dawning of a new day? 1 The draft submission on Major Project 2009/131 at Tallawarra (Attachment 4 of the report) be endorsed for finalisation by the General Manager and submitted to the NSW Department of Planning and Infrastructure. a Include Council’s desire for infrastructure to lead development, as well as Council to have the ability to prepare a site specific chapter of the DCP and that employment lands be first and foremost in the development. 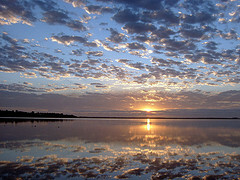 b Include awareness of the impact on Lake Illawarra. c Ensure that the water quality from the development is protected. d Ensure that the bicycle path is appropriate to the requirements identified by the Bicycle Users’ Group. Well done to all CRED members who have helped out over the last four years. Today I had the privilege of attending the Wollongong Community Summit with 200 other members of the Wollongong community. It was a seemingly diverse group. 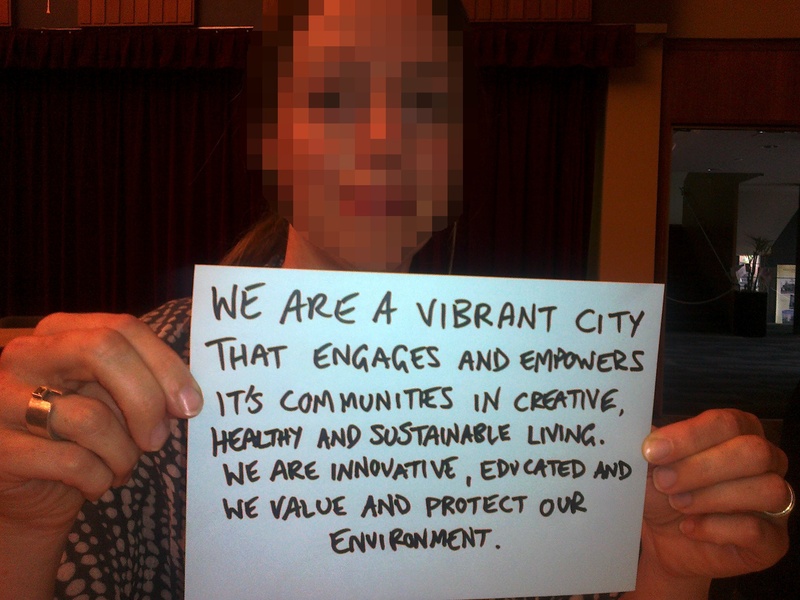 We were charged with the responsibility of helping formulate the vision to be at the heart of Wollongong City Council’s Community Strategic Plan. Many attendees were cynical, believing this to be another WCC tick the box exercise in faux community consultation. However there are a few promising signs that this may be the dawning of a new day for council. The most significant is that for the first time in my memory, council are submitting serious objections to the TRU concept plan for the Tallawarra Lands. This would never have happened in the old regime. There are a few warnings. Firstly, although appearing diverse, there were only 2 community members from the Dapto area. See the map below. There were none from Cringila, Warrawong, Port Kembla, Primbee or Windang. The far north was also very lightly represented. Sadly there were very few aboriginal people. People with disabilities seemed well represented. All ages were present in good numbers. Council did commission a survey of school children from the Warrawong area. Interestingly apart from mentioning their love of beaches and the environment, they were very concerned about prostitution in Wentworth Street. Some cynical people suggested that the data collection process may have been shaped in particular directions. Children’s number one priority for Wollongong was – more “nice people”. Hmmmm. Also, this is one of several summits. Others have been for “Leaders” and “business”. While this event seems to be a genuine effort to engage the community, time will tell how much weight is given in practice to these various perspectives. When there is conflict between goals or strategies, how will these be resolved. Will the “ordinary” resident keep their seat at the table or be pushed aside for the interests of “business” and “leaders”? I shared tables with a number of groups and encountered the usual problems of dominant personalities hijacking the agenda, not respecting others and completely ignoring the task at hand. Maybe Wollongong really does need more nice people. There were also a lot of passionate, respectful articulate people. Interestingly in terms of content, there was a significant amount of convergence around key issues. The environment rated very highly. There was a strong push for an end to homelessness and unemployment. People wanted Wollongong to genuinely embrace innovation as a real possibility, not just a slogan. Details will follow shortly, but I thought I’d share my last table’s consensus vision statement for Wollongong. We can’t show you this woman’s face because its irrelevant – read the sign. This is what Community Democracy looks like. This afternoon, members of CRED and Illawarra Bicycle Users Group (IBUG) net with Ward Three Councillors Chris Connor, Ann Martin and Vicki Curran (where’s Bede Crasnich?). 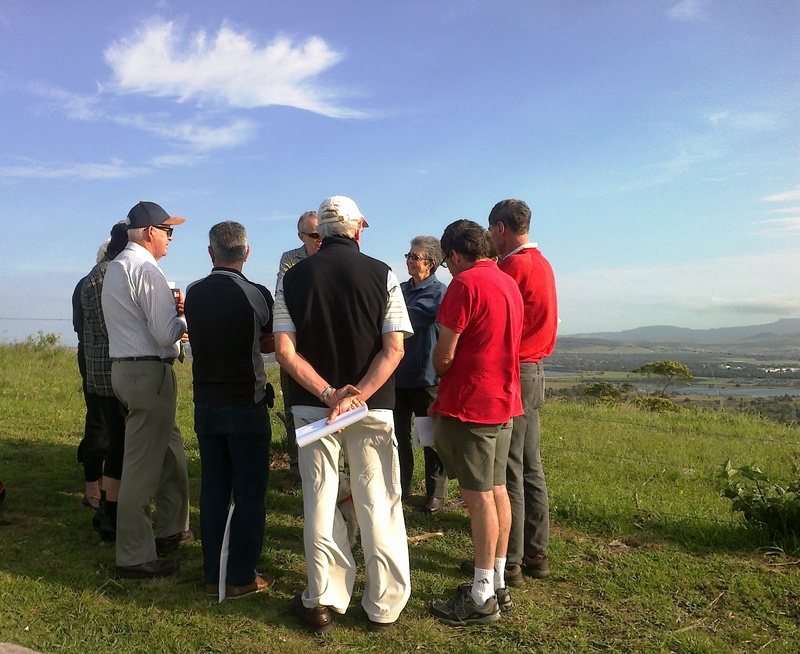 Residents outlined their concerns about TRU Energy’s Concept Plan for the Tallawarra site. Their main concern is what appears to be a sneaky attempt to shift the focus for these lands from employment lands to expensive residential. Other concerns included attempts minimise responsibility and shift costs from the developer to the community. If today’s meeting is any guide, it appears our newly elected councillors have not been fooled. In a major turnaround, council is critical of the Concept Plan and is lodging its own objection which supports claims made previously by CRED. More information on how to make a submission and ideas for objections are available here. Tallawarra – What’s the TRUth? Summary states there are “No impediments” to development (I can see several), specifically for the “employment lands”. Projected jobs do not outweigh population increase (these are “employment lands”) – thus this development will increase unemployment. Endangered Ecological Communities are threatened and there is marked degradation caused by TRU’s involvement from the 2000 LEP assessment to now. How did this happen? The employment strategy relies on the insane notion of “matching” residents to employment in the development (debunked by UOW Academic Scott Burrows). Visual/scenic aspects are noted but not demonstrated (i.e. preserve ridgeline). The location of housing with 9m building heights seems to indicate the ridgeline and visual character will be obscured, except for surrounding high locations like Lake Heights/Mt Warrigal. Where’s the geometric modelling? Report states “Staging is not definite” however TRU have stated in CLG meetings they intend to develop the Northern Residential precinct first then other areas “as able”. The “Employment Lands” are on contaminated, Geotechnically challenging sections, thus unlikely to ever be developed. Noise and the “red light disco” dictate hermetically sealed, air conditioned boxes. What are the lifestyle and energy impacts? Water quality implications: The Northern precinct discharges stormwater direct to lake + sewerage uses “controlled release” due to capacity restraints. How will this affect Lake Illawarra? TRU are seeking to minimise development contributions arguing services will be supplied by the adjoining areas. Why do TRU refuse to release the Community Survey about preferred use of Tallawarra Lands? Most of the residential precincts will be developed, a small amount of employment area will proceed with a significant amount indefinitely deferred or abandoned due to constraints. A greater increase in population than sustainable jobs. A net drain on the Illawarra’s economy. Ask the hard questions and do whatever it takes to get this right. At the very least – insist the employment lands are developed first. CRED invites all residents of East Dapto to get informed and get involved in the coming Occupy Sydney meeting at Martin Place on October 15. Concerned citizens will rally at 2:30 and begin the process of shaping the vision for a different Australia. So why bother? Will it make a difference? What has this got to do with our community? Firstly, this is not just a support or sympathy rally for Occupy Wall Street – even though the events of Wall Street do directly impact our daily lives. Occupy Sydney is one of several rallies nationwide to address Australia’s concerns. Our situation is not as dire as America at present, thanks to the mining boom and modest levels of national debt. Yet we share the same structural unfairness that locks 99% of Australians out of the game. Consider our local issues. We have already lost ownership of the once publically owned Tallawarra Lands to a subsidiary of China Light and Power. The land was sold well below market price by the corrupt Bob Carr government in 1997. Now I’m sure you would like some bargain basement real estate with lake views? So how come a foreign company gets the chance that we don’t? Could it be that they are the 1% and we are the 99%? 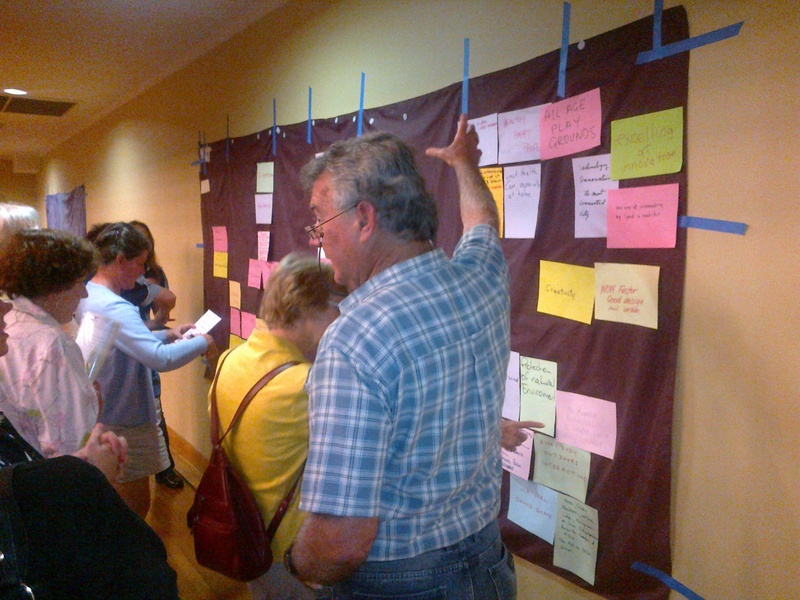 When the development was proposed, a consultant to TRUEnergy conducted a community survey. 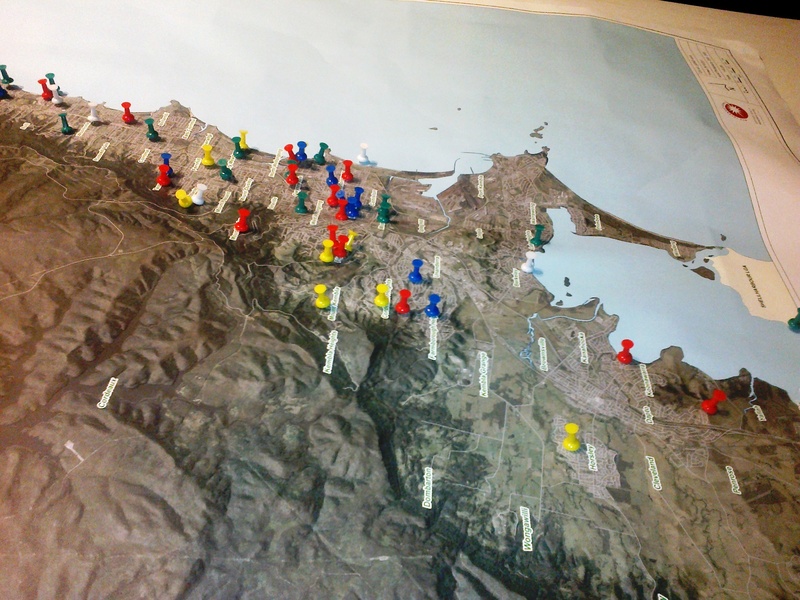 The scope of the survey was to discover the community’s attitude towards the proposed development and preferred use for the land. Several times I have asked to see the results of this community survey. As an affected resident, I was refused because apparently community opinion is “commercial in confidence?” When did community opinion become a trade secret? How could this happen? 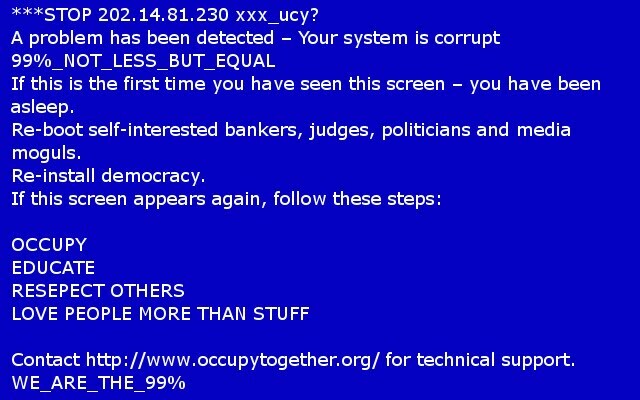 Could it be that they are the 1% and we are the 99%? Consider our pool? Once we had free access. Maintenance and staffing was covered by rates and even the poorest of the poor could take their kids for a free, fun day out. What happened? Already struggling, the cost of heating the pool was the straw that broke the camel’s back. Why don’t rates cover the cost of providing community services? Why does the State Government not adequately fund our community? Could it be that they are the 1% and we are the 99%. What about the problems of social disadvantage, poor education outcomes, vandalism and crime? Why aren’t Australia’s wealthiest companies and citizens making a big enough contribution to adequately provide the prevention, education and social services to adequately improve the lot of our disadvantaged people? After all – our natural resources belong to all of us. Surely a compassionate and progressive society like Australia that values a fair go would do what it takes to fix this? Isn’t THAT the ANZAC spirit? Yet when the Federal Government proposed a Super Profits Tax, the 1% spent millions on advertising to defend their greed! Our Government dared not to even contemplate a tax on Bank Super Profits. Maybe it’s because they are the 1% and we are the 99%? In these wildly prosperous times, why do such a large proportion of us have no job at all, not enough hours or a full-time job that still leaves us struggling to pay rent, food, water and electricity? Is it because they are the 1% and we are the 99%? So if you think this is just about the USA or Sydney – think again. The actions of the wealthiest 1% directly affect your life, your dreams and your prospects. You have already seen their impact on electricity, water, rent and housing costs. If you have a job, you have already seen the demands for endless productivity gains when you are already working at full capacity. So what are you going to do? This is not just about protesting. The “Occupy” movement needs your voice, your heart, your ideas – or simply to know that you want to see a fairer world, country and community. Find out more at http://www.occupytogether.org/ I hope to see you at Martin Place – or on the wonderful 2 hour train ride to the City. Recently I made some controversial comments about growth in the Illawarra. I need to be clear that these are my opinions and not those of CRED as an organisation. For those interested in reading more on the topic, a new film, Growthbusters is due for release in October this year. I am hoping to arrange a screening in Dapto. To learn more about Growthbusters – visit here.